Has top chef really ‘given back’ his stars? One of the handful of three Michelin-starred restaurants, Le Suquet in Laguiole, Aveyron, is said to have ‘handed back’ its stars – but is it really possible? Michelin, the tyre company and publishers of gastronomic Bible The Michelin Guide, has today confirmed that Le Suquet, which has had three stars for 19 years, will not feature in the 2018 guide, out next week – however, as we will be exploring further in a feature on guide in March's edition of The Connexion newspaper, it is not simply a question of ‘handing back stars’. While a few chefs have in the past been reported to have done so, guides director Michael Ellis has previously called the idea an ‘urban myth’, saying a star is an opinion by Michelin, not something that could be ‘returned’. For many chefs it an honour and a selling point, however, Le Suquet chef Sébastien Bras said in a video on Facebook last year that he did not want to be in the next guide because, at 46, he had “decided to give a new direction to my life and redefine what’s essential”. Having assisted his father Michel in opening 25 years ago and taken charge 10 years ago, he said it had been a “great challenge” which had brought “a lot of satisfaction, but also great pressure, that comes inevitably with the distinction of three stars”. Mr Bras said the three stars had been an “undeniable bonus” but they wished to “drop out of the competition” while aiming at the same excellence. A Michelin spokeswoman confirmed the guide would not feature Le Suquet and said it was “the first time a restaurant has asked to be completely removed from the guide” and the company had decided to agree out of courtesy. “Is it the first time a chef has asked us to take away their stars? No, but what’s different is that at the same time he doesn’t want to be in the guide at all and he’s changing nothing about his cuisine. Normally if they ask not to have stars any more it’s because they are changing their concept or they’re closing down or something of that kind. She added the “pressure” said to come with stars is no different to anyone else at the top of a profession requiring excellence. “It’s a profession which requires a lot of work and dedication, the same as a top sportsman,” she said. 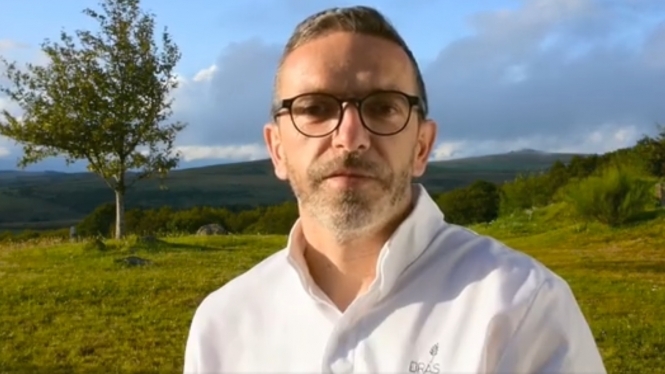 Another chef recently reported as ‘giving back’ his star, Jérôme Brochot at one-star Le France in Montceau-les-Mines in Burgundy has at the same time decided to slash his menu prices and go for a less exclusive kind of cuisine. However, it has not yet been confirmed if he has been ‘demoted’ in the new guide or not. For more about the Michelin guide and other French gastronomic guides look out for the March edition of The Connexion newspaper (in newsagents in three weeks’ time or by subscription here) in which we are looking at the topic in our 'Make sense of' feature.